In 2010, the ARTBA Foundation created the “Transportation Development Hall of Fame” to honor individuals or families from the public and private sectors who have made extraordinary contributions to U.S. transportation development over their lifetime and demonstrated exceptional leadership. Transportation Design & Construction Industry Innovators: This category honors the men and women who discovered or created a “game-changing” product or process that significantly advanced transportation design, construction and/or safety. It seeks to honor the original innovator. 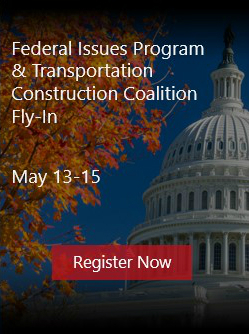 Transportation Design & Construction Industry Leaders (Individuals or Families): This category honors men, women and families who have made significant contributions—beyond just having successful businesses or careers—that have notably helped advance the interests and image of the transportation design, construction and safety industry. Nominations for the Class of 2019 are due by Wednesday, April 10. Learn more about the Hall of Fame classes. For questions or additional information, contact Eileen Houlihan.